Del. Bob Thomas' bill would eliminate the age cap for coverage of ASD by health insurance plans. Current law requires coverage from ages two through ten. Thomas says its time for families to have access to life-changing treatments. Virginians with autism could soon have expanded access to health care, under the terms of legislation filed by Delegate Bob Thomas (R-Stafford). Thomas’ HB2577 would lift the current age cap, requiring health insurance plans to cover treatment, regardless of the patient’s age. Under current Virginia law, insurers must cover treatments for autism spectrum disorder from ages two through ten. 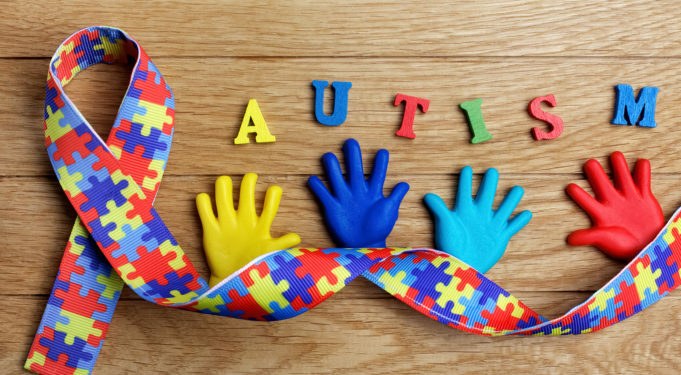 This limitation has proven difficult for families, as the average age of diagnosis is between six and seven years of age, according to a report from VCU’s Autism Center of Excellence. The report noted that many children have access to only two or three years of treatment before their benefits run out. At present, autism spectrum disorder is the only medical condition subject to coverage limitations based on the age of the patient. This restriction applies only to autism spectrum disorder, setting it apart from every other condition, such as asthma, diabetes, and cancer, in which coverage is based upon medical necessity, rather than the patient’s age. Republican House Speaker Kirk Cox (R-Colonial Heights) praised the announcement, noting that this bill, if signed into law, will expand treatment options for Virginians with autism and their families. Joining Delegate Thomas and Speaker Cox for today’s announcement were Delegates Chris Stolle (R-Suffolk), Jason Miyares (R-Virginia Beach), and Glenn Davis (R-Virginia Beach), who have all been autism advocates during their service in the General Assembly. While some opponents have said the move would be costly to the state, a financial impact statement prepared by the Department of Human Resource Management estimated the total cost to Virginia to be only $237,000, of which only $118,500 would come from the Commonwealth’s General Fund. The struggle to expand coverage for Virginians with autism has been many years in the making. Every session, families and advocates have descended on the capitol in Richmond, sharing with lawmakers their stories of how access to treatment would make a positive impact in their lives. Parents have noted, for example, that expanded access to personalized treatment would better prepare their children to find meaningful careers, helping increase self-reliance when children come of age. Ultimately, they hope, this will lead to reduced utilization of social services, saving Virginians money when more children with autism enter the workforce. While small steps forward were made in 2011 and 2015, families responded with enthusiasm to legislation filed last year by Senator Jill Vogel (R-Upperville), which would have raised the age limit to 18, which Vogel said, at the time, represented the best opportunity for compromise. Now, Thomas hopes to eliminate the age cap entirely. That relief could come this year, with the help of Delegate Jones, who plans to advocate for the bill in the House Appropriations Committee. His bill is scheduled to be heard by the House Committee on Commerce and Labor during the legislative session, which runs through mid-February. While similar bills have struggled in the past, Thomas said he’s enthusiastic the time has come to eliminate the cap, which he said was a top priority of his during the 2019 session.